The following is a guest post by Julie Petersen. 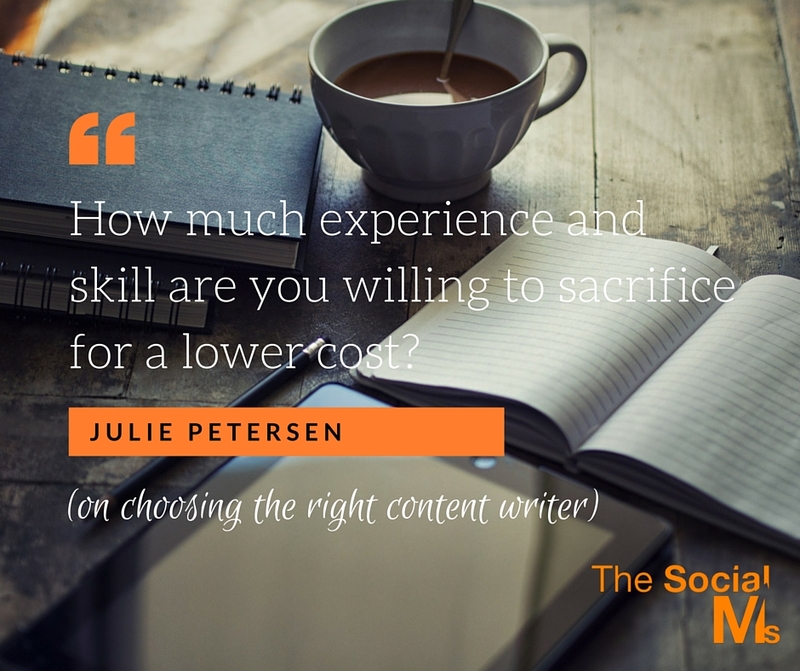 Julie Petersen is a content marketing specialist and a private English language tutor. At present time she writes reviews at her educational blog AskPetersen.com, and is a contributor to such websites as CollectiveEvolution, FreelanceWrite.About, Business.com, etc. Contact Julie here. Many small business owners run their own websites and blogs. If this is the case for you, then keep at it! But as your business grows, you may reach a point where it would be best to hire someone else to do the writing so you can work exclusively on building your business. If you choose to find a partner to develop your blog, it’s essential that you find a writer who understands your message and tone. After all, the message they create will shape your brand and attract potential customers. You had better hope the message attracts the right people. But how do you know who to hire? How do you weed through the massive collection of freelancers to find your perfect partner? Here are some things to consider when you’re searching for a content writer. It’s important to consider the writer’s history. What kinds of blogs have they written for in the past? What’s their writing style? Are they willing to alter their “voice” to match yours? And don’t only consider their writing history. What other experiences have they had that might improve your blog? Do they have a background in marketing or sales? Do they have any expertise in your industry? When do you need a freelance writer to start? How often will you need their services? Do you need to work with someone who can return emails and calls within an hour, or are you more flexible? When selecting a freelancer, give them a realistic idea of how much time your project will require. If they seem hesitant, but accept the job anyway, reconsider working together. The most experienced writers are usually the most expensive. How much experience and skill are you willing to sacrifice for a lower cost? Are you okay with having to clean up the writer’s content before posting? Or do you want someone who you can trust completely to provide interesting and accurate work every time? Decide what’s most important before you start your search. Ask your freelancer how long the project will take. They should be able to give you a timeline to work with. If you work with someone long-term, things are bound to come up and these timelines might need to be adjusted due to the scope of the project changing or the writer having an emergency. But overall, choose someone who will give you a deadline and stick with it. Just because someone knows how to write about something doesn’t mean they’re the best person for the job. If you have a computer software company, you might be better off hiring someone with one year of experience and a sincere interest in computers, than a seasoned content writer who thinks computer software is cause for snoring. What kinds of topics have they written about in the past? It might not be imperative that they have experience in your exact niche, but they should have experience in a related area. Can they write in different voices? Can they tailor their writing style to what you need? Their portfolio is a great place to find the answers to these questions. Any good copywriter should be able to give you references for past clients. Call or email them to ask about their experience. What did they like about working with the writer? What didn’t they like? Would they hire him or her again? Once you know what you’re looking for in a writer, check out the following websites where you can easily find and hire freelancers. UpWork.com – Upwork is the largest freelancing website in the world. With over 10 million freelancers, you’re sure to find someone who is perfect for your website. Freelancercareers.com – Freelancercareers finds writing jobs online and brings them to their team of freelance writers. You can choose your content writer based on their star rating and price. iFreelance – Similar to Upwork, iFreelance has a database of writers to select from. The site is slightly less user friendly than Upwork. Essaymama.com– Essay Mama is a service that hires freelance writers. You can contract with Essay Mama to have your content written by professionals. Asiawriters.com –If you’re located in Asia or specifically looking for Asian writers for your blog, AsiaWriters might be a great fit. The costs are lower than most other freelance sites. Textbrokers.com– Textbroker is a content and article writing service. You work directly with Textbroker, and they hire a team of freelance writers. 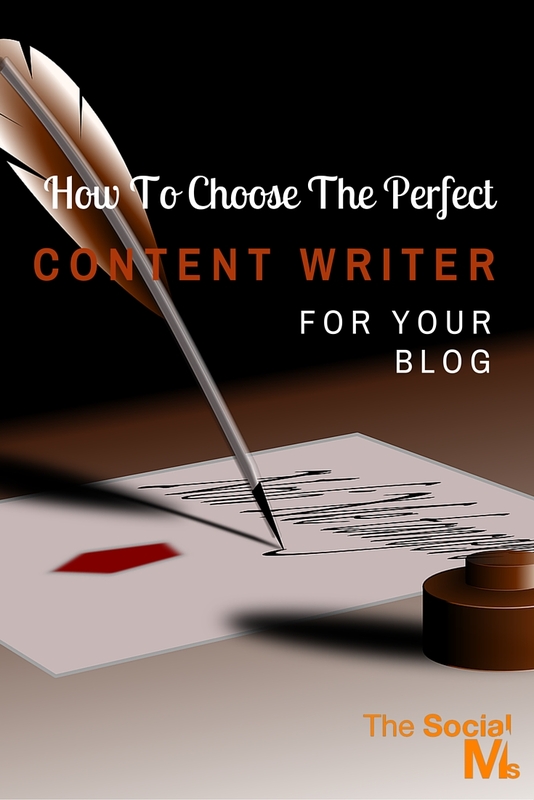 Choosing the right person to write content for your blog is an important step in your business plan. You need to choose someone who offers the services you need at a rate you are comfortable with. But you also need someone who you work well with and who you are comfortable calling if you have questions or need more articles. You need someone who will offer insight and expertise and who can be a true partner in the development of your blog. Give the process the time it deserves. The right writer is out there, just waiting for your call!